Hot, hot, hot! 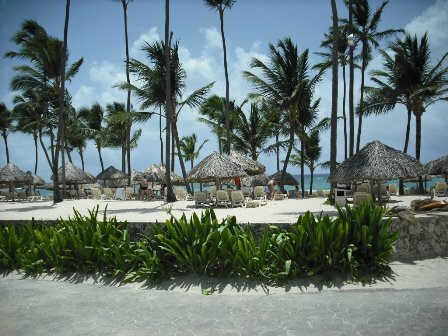 The tropical climate, the beach, the staff, the organizers, and the whole lush beautiful complex of the Majestic Colonial in Punta Cana, Dominican Republic. If you’re into relaxing underneath a shady hut on a blazing hot summer day, or wading in a refreshing pool that runs an eighth of a mile from the lobby to the beach, then you’re in luck in Punta Cana. 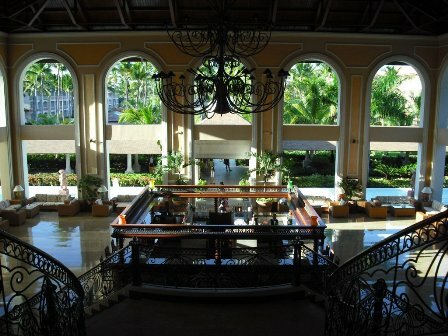 At the Majestic Colonial, all-inclusive vacations are the way to go. United Airlines is running this exclusive package that includes your air travel, gourmet restaurants and main buffet, all located on the property, which includes beverages, alcohol and soft drinks at one terrific price. 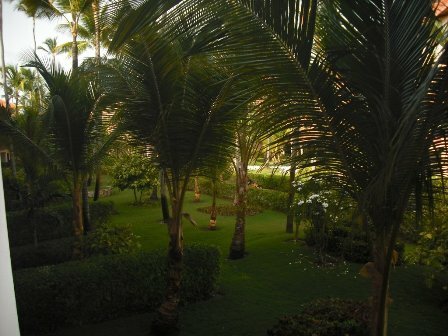 Don’t take another dollar out of your pocket while you relax under the swaying palm trees. I mean, unless you want to offer a tip to the wait staff who’s transporting your cold, thirst-quenching El President beer from the bar to your lounge chair. You can book water activities right at poolside or at the help desk at the main lobby. Mornings and afternoons, if you’re looking for some exercise, water aerobics and zumba right at poolside instructed by the energetic Fun-Jestic team. There’s a full gym on the premises for those who just can’t sit still. You can also jog along the beachfront and catch a breeze off the ocean, which makes exercising on the beach even more wonderful. The pool area is mind-boggling. Approximately an eighth of a mile long, the pool zigzags throughout the property, from the front lobby to the welcoming ocean breeze of the beach area. Along the way, the pool breaks off into tributaries, where huts and lounge chairs accommodate guests. There are many outdoor bars along this waterway, and there is a main bar close to the beach that half sits in the pool water, the other half on a floored patio. Many daily activities for children and adults take place along this path. The lush gardens, displaying fragrant bougainvillea to delight your senses and for picture taking, surround the entire property, the pool area and the beachfront. The Majestic Colonial is also a wedding destination resort. While we were on vacation there, several weddings took place. 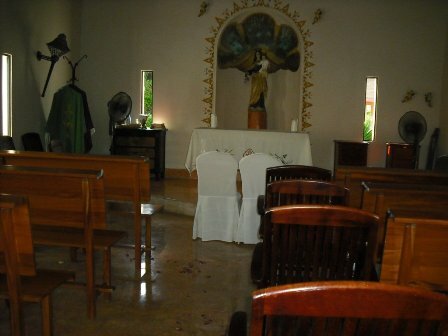 Some took place in this quaint chapel, while other ceremonies took place at the beachfront, and still others under a tulle and flower-draped gazebo. Catering your food for a destination wedding is a specialty at the Majestic Colonial. On the wedding destination website, there is also an offer for free weddings by booking a certain amount of rooms. I will be giving you more information about destination weddings and the fine restaurants at the Majestic Colonial in my next article.